David, one of the founding partners of the firm, grew up on his family’s livestock and grain farm in Washington County, Ohio. His early involvement in farming, along with his participation in 4-H and FFA activities, forged his commitment to agriculture that has carried over into the practice of law. 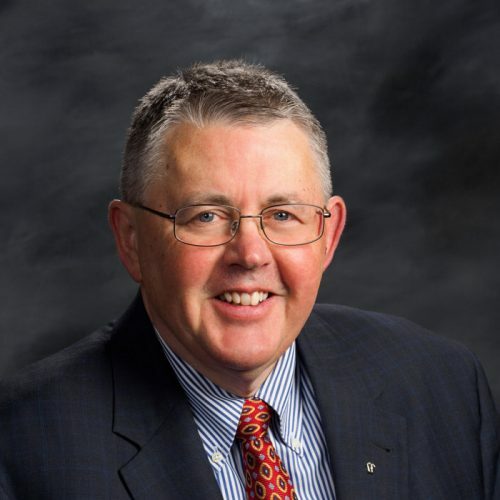 In addition to David’s private practice experience of working with agricultural producers and agribusinesses, he served for over 10 years as in-house legal counsel and national secretary for the National Grain and Feed Association (NGFA) in Washington, DC. While he advised the NGFA on a broad range of legal, legislative and regulatory issues, David also had oversight of the NGFA Trade Rules and administered the industry’s arbitration system. During that time he also successfully completed the London (England)-based Grain and Feed Trade Association’s Gafta Trade Foundation Course on international grain contracts and arbitration at Churchill College, Cambridge, United Kingdom. David is a frequent speaker on agricultural contract and business legal issues at industry meetings throughout the U.S. He is also is a multi-year recipient of the “Ohio Super Lawyer” designation from Law & Politics Magazine and was recognized as a “Top Lawyer” by Columbus CEO Magazine. When he is not practicing law, David spends time with his active family. David also is an active member of the Knights of Columbus and Saint Michael Catholic Parish in Worthington, Ohio. Mr. Barrett has received an AV Peer Review Rating from Martindale-Hubbell. RATING EXPLANATION: Martindale-Hubbell is the facilitator of a peer review rating process. Ratings reflect the confidential opinions of members of the Bar and the Judiciary. Martindale-Hubbell Ratings fall into two categories – legal ability and general ethical standards.